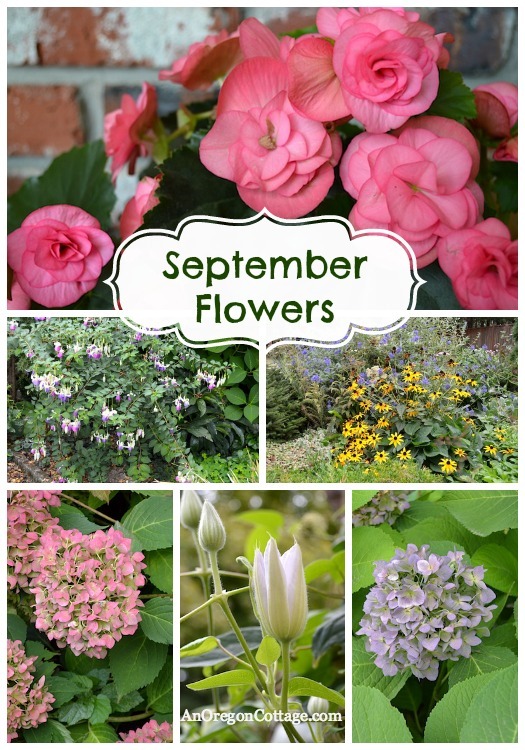 Even though it seems like every blog I visit is talking about pumpkins, leaves, fall and getting cozy by the fire, I’m still busy relishing our garden’s September blooms! 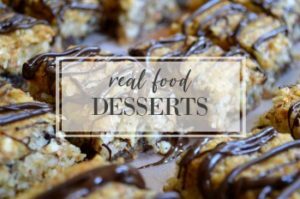 Even though there are many things I enjoy about fall, I’m usually drug kicking and screaming into it because I know the seemingly endless cold and gray days will soon follow. I need a good two weeks of September to wrap my head around the fact that summer is over, so I’m not decorating for fall until the calendar tells me to! 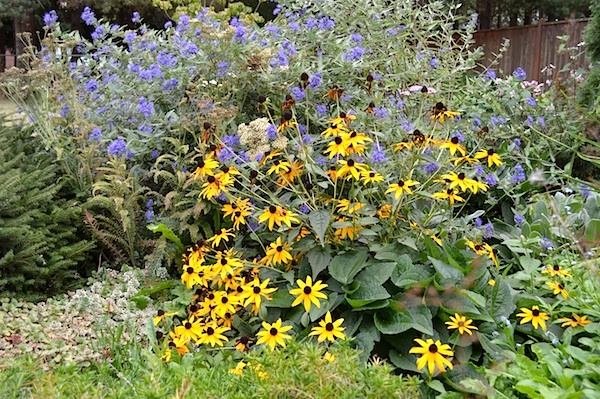 The black-eyed susan started blooming the end of July, I wrote about them in August and they still look great! I especially like them in front of the purple blooms of this ceanothus which is one of my favorite color combinations any time of the year. I wait all summer for the blue hydrangeas (have I mentioned I don’t do blue – ever?) 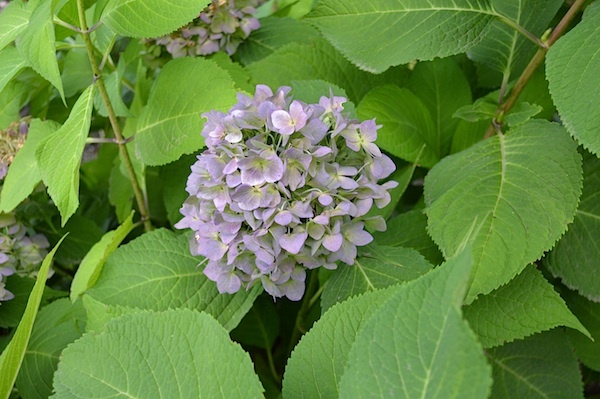 to turn this lovely shade of purple with green centers. It’s just a bonus that this is the time of year when they dry well, too – so I get to enjoy this color for awhile. 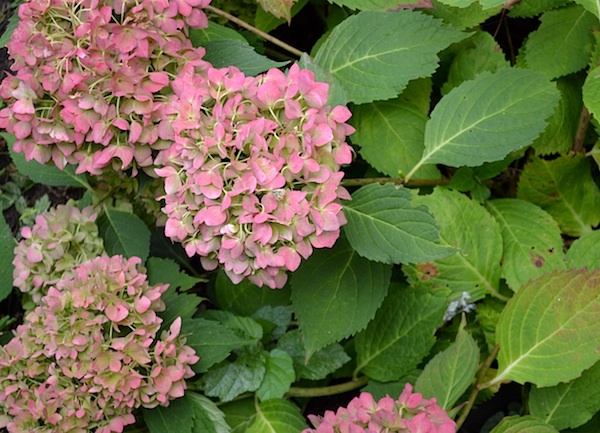 I have one hydrangea that is only a year old and hasn’t changed to blue from our acidic soil yet (it will, though, they all do if they’re the changin’ kind…sigh) and it’s turning this deep shade of pink – still with those awesome green centers. 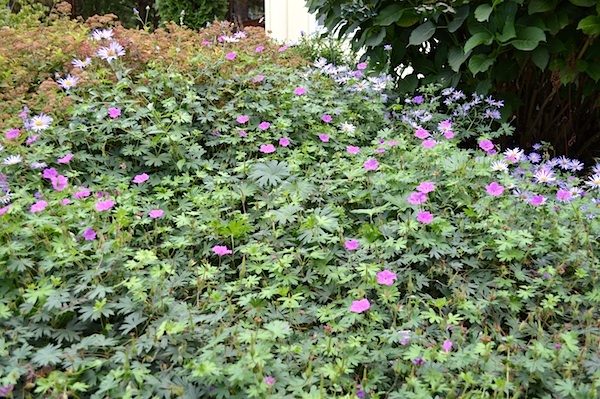 This hardy geranium is called ‘monster’ – yeah, not a surprise looking at this photo, is it? Believe it or not, I cut this back hard in June after it finished it’s first flush of blooms! It’s mixed with a perennial purple daisy that I can’t remember the name of – poor thing is struggling. I really need to divide this geranium, don’t I? Isn’t this fuchsia something? It was a spontaneous grocery store purchase three years ago to fill this blank spot along our entry walkway. 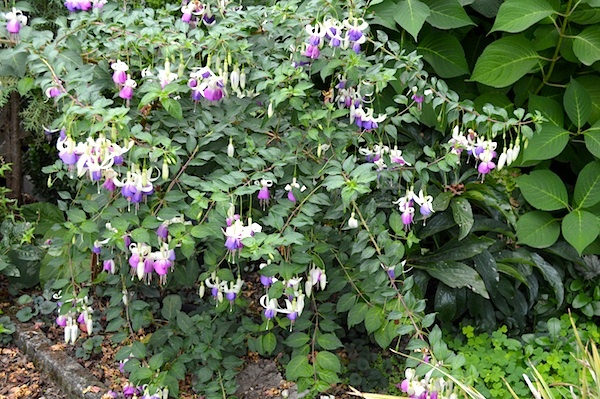 I thought it was an annual fuchsia, since that’s what the blooms looked like. However, it’s come back each year stronger than the last – and bigger. It’s way too big for this spot now, but I’m afraid to move it because I just love these blooms and don’t want to be the cause of it’s demise. 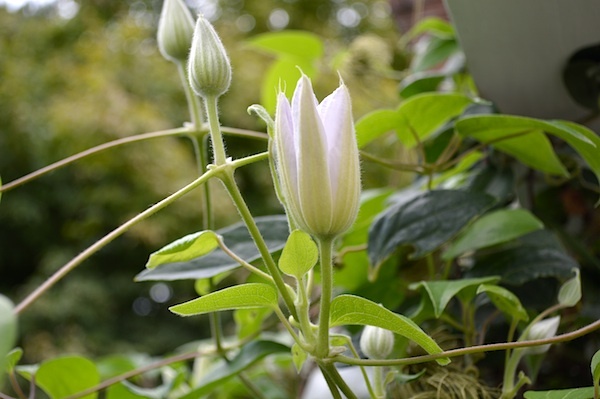 This white clematis (I’ve forgotten the actual name) is still pumping out the blooms. 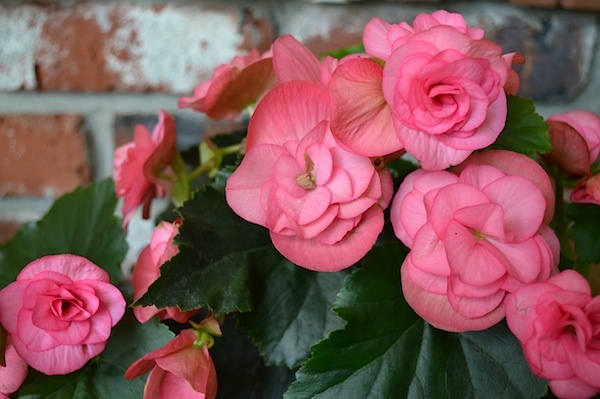 And how could I think about replacing these stunning begonia blooms with pumpkins next to our door? No way – these will stay and I’ll just have to add white pumpkins around them – I don’t know, pink and white seems like a fine fall color scheme to me, ha! What about you? Are pumpkins ruling your world yet? Hi Jami! Beautiful flowers, all! I adore Autumn. It’s my most fav season. Just the same, I am delighted at the profusion of blooming beauty in my garden and have no interest in rushing for pumpkins, scarecrows, etc. No way!! Your lovely incorporation of pink begonias and white pumpkins sounds simply elegant!! I cannot believe I have missed your linky party all summer this year, what was I thinking?! Still, there is some time before fall really sets in. Thanks for hosting, see you next week! I’m with you! It was soooo cold yesterday morning and I was wanting to scream, I’M NOT READY!!! I’m still trying to get used to the idea that my impatiens are waning. My gosh, pumpkins?! Already!? Say it ain’t so. Okay, Mindy, I could probably admit I’m getting tired of salads and am looking forward to soups and stews, too. 🙂 But the rain? It could stay away for awhile yet and I wouldn’t be sad! I’m with you Jami! I hang on to summer as long as I can. I live in your neck of the woods and I know what lies ahead. I love the colors of fall but they have their time. Your flowers look amazing. My hydrangeas have all lost their color by now so Im so impressed with yours. Happy end of summer!!! It’s been soooo dry here. My flowers are long gone. We finally got rain on Sunday and might get more tomorrow, but it’s too late for most of my flowers. 🙁 Yours are gorgeous! Happy Fall!! I agree. You have got to enjoy the late summer flowers as long as possible because all too soon they are gone. My flowers are still blooming like crazy and I love it. Give me the PINKS all year. I am not a fall color person at all. It really does nothing for my house with all the PINK I have. Some of the leaves here in the Southeast are just begining to turn and to fall, and we’ve had a couple of cooler days, so I broke down and put up a fall wreath. But if my yard looked like yours with all those beautiful late summer flowers I’d definitely have waited. I can’t pick a favorite, but your hydrangeas and monster geraniums are amazing. I don’t think it feels or looks like fall here at all, even with the rain we had. I think a lot of these little fuchsias at the grocery store are quite hardy in the ground. Your fuchsia is gorgeous and I love your white clematis and the monster geranium! Although we look forward to the cooler temps of fall, I’m right there with ya on not decorating until the calendar says the day has come! 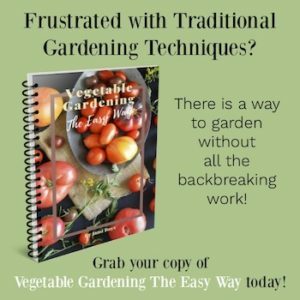 You’ve got some wonderful color in your garden. Hang on to the remainder of summer! Your flowers look just beautiful. We have a few flowers blooming in our garden but most are done for the year. I think I really need to make a plan for more flowers for next year and include some varieties that bloom later in the summer and early fall. We didn’t plant any pumpkins this year but I wish we had. 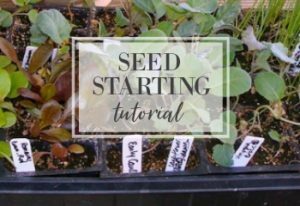 I will need to make a trip to our local farmers market to pick up a couple to cook for the freezer and roast the seeds.